First election sejm of the Commonwealth. Sejm in the Kamień village, in the vicinity of Warsaw. 1573. The sejm was convened at the convocation sejm on 28 January 1573, during which the order of the elections was adopted, as well as the interrex for the interregnum. At the convocation the pre-election sejmiks were also called and took place in March 1573. During the proceedings, which began on 5 April 1573, numerous foreign missions were heard, including these sent by the candidates to the first election for the king of the Commonwealth, which sent its own missions. The demands of the soldiers, to pay their overdue wages, were examined. A commission was also established, to investigate abuses of royal court (in the period preceding king’s Sigismund II Augustus death). Conscription universal was adopted. There was also a discussion about revising the laws of the Commonwealth and, as a result of the debate, on 12 May 1573 a resolution was adopted, determining principles of the political system. They were later called the Henrician Articles, as a reference to the first king who was supposed to approve them. 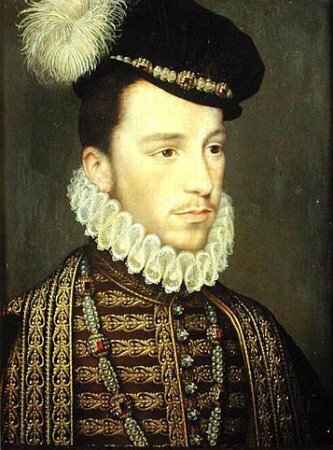 During the proceedings of the election sejm, on 11 May 1573, the deputies chose Henry de Valois to be the next the king and he was announced the king on 16 May same year. 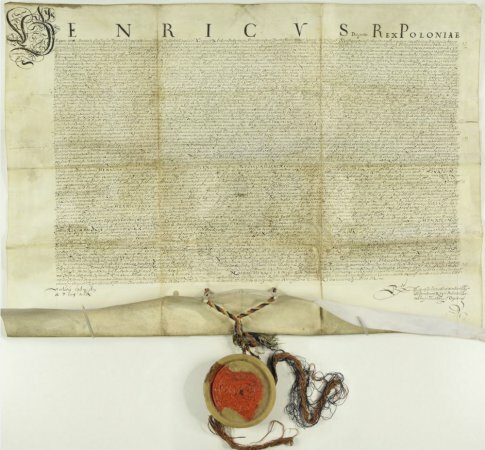 During the election sejm of 1573 an agreement, called pacta conventa, between the “estates of the Commonwealth” and the newly elected king, stipulating commitments of the elect, signed by him before coming to the throne. They were presented to the king-elect Henry by the mission of the “Polish estates”, which set out to Paris, to announce the result of the election. The sejm finished proceedings on 20 May 1573. See: Orzelski Ś., Bezkrólewia ksiąg ośmioro, czyli dzieje Polski od zgonu Zygmunta Augusta r. 1572 az do r. 1576 skreslone przez Świetoslawa z Borzejewic Orzelskiego, staroste radziejowskiego. [Eight books of interregna, that is Polish history since the death of king Sigismund I Augustus in 1572 to the year 1576, depicted by Świetosław Orzelski of Borzejewice, a starost of Radziejów] Przełożył z rękopisu Cesarskiej Publicznej Biblioteki, przypisami i życiorysem uzupełnił Włodzimierz Spasowicz [Translated from manuscript of Imperial Public Library, annotations and biographies completed by Włodzimierz Spasowicz], Petersburg 1856; T. Piliński, Bezkrólewie po Zygmuncie Auguście i elekcya króla Henryka przez Tadeusza Pilińskiego [Interregnum following the death of Sigismund II Augustus and the election of King Henry by Tadeusz Piliński], Kraków 1872. E. Reimann, Die polnische Königswahl von 1573, „Historische Zeitschrift”, Bd. 11, 1867, s. 58-128; E. H. de Noailles, Henri de Valois et la Pologne, t. 1, Paris 1867; W. Sobociński, Pakta konwenta. Studium z historii prawa polskiego [Pacta conventa. Study of the Polish law history], Kraków 1939; P. Skwarczyński, Pierwsze trzy wolne elekcje viritim 1573-1578. [Zagadnienia wybrane] [The first three viritim elections, 1573-1578 (selected issues)], Teki Historyczne, t. 10, 1959, s. 119-154; S. Płaza, Próby reform ustrojowych w czasie pierwszego bezkrólewia [1572-1574] [Attemts to reform political system during first interregnum (1572 - 1574)], Kraków 1969. s S. Gruszecki, Walka o władzę w Rzeczypospolitej Polskiej po wygaśnięciu dynastii Jagiellonów (1572-1573), [Struggles for power in Polish Commonwealth following the end of Jagiellonian dynasty] Warszawa 1969. E. Dubas-Urwanowicz, Koronne zjazdy szlacheckie w dwóch pierwszych bezkrólewiach po śmierci Zygmunta Augusta [Royal nobility congresses during two first interregna, following the death of Sigismund II Augustus], Białystok 1998.J. Dzięgielewski, Sejmy elekcyjne. Elektorzy. Elekcje 1573-1674 [Election sejms. Electors. 1573-1674 elections ], Pułtusk 2003; D. Makiłła, Artykuły henrykowskie (1573-1576). Geneza-Obowiązywanie-Stosowanie. Studium historyczno-prawne [The Henrician Articles (1573-1576). Origin-Validity-Applicability. Legal and historical research], Warszawa 2012. Ustawodawstwo zob. Volumina Constitutionum, T. 2, cz. 1, Design and layout prepared by S. Grodziski, I. Dwornicka, W. Uruszczak, Warszawa 2005, s. 310-331.